Kelly is a mother, educator and community organizer. 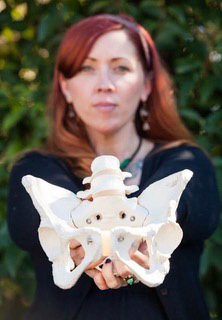 Kelly has been teaching her Holistic Childbirth Prep Workshop for nearly eight years, and spent several years attending low risk and high risk births in San Francisco. Her background as a community organizer allows her a unique perspective on advocacy and body politics and she is a firm believer in body autonomy as a human right. As a Certified California Naturalist, Kelly also brings knowledge of nature and the capability of our animal bodies to birth with confidence. She is passionate about creating forums for storytelling, as she believes storytelling and listening have the power to transform communities.